One of the important contributions of the digital revolution that marked the first two decades in this millennium is that it liberated the means of knowledge production and distribution from traditional gatekeepers and instigated an era of ‘mass knowledge’. 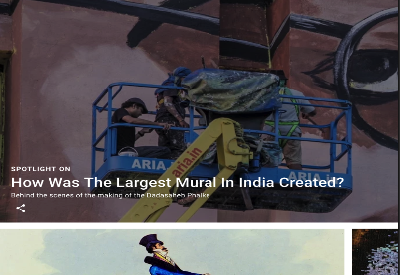 Everyone now with an internet connection can access and browse the world knowledge right from the comfort of their own place. Students too have benefited from this digital revolution. It empowered them with the tools and know-how to take their individual learning experiences to the next level. 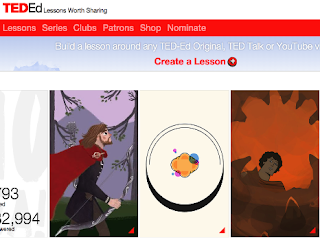 The purpose of today’s post is to share with you a collection of some excellent educational websites we curated specifically for high school students. 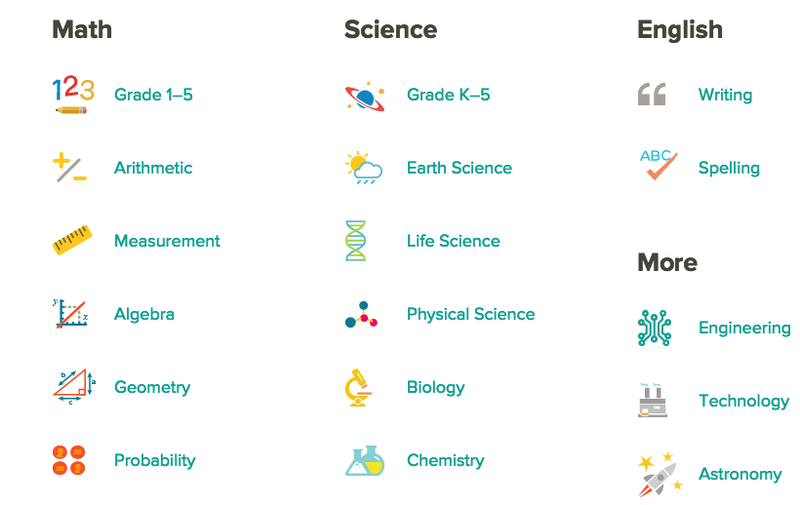 We have drawn on our long experience in reviewing EdTech platforms to provide you with what we believe are some of the essential websites to help high school students with their learning. Have a look and share with us your feedback in our Facebook page. 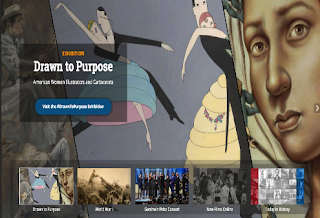 Provides access to tons of educational materials including primary source docs, books, maps. manuscripts, sound recordings, motion pictures and many more. 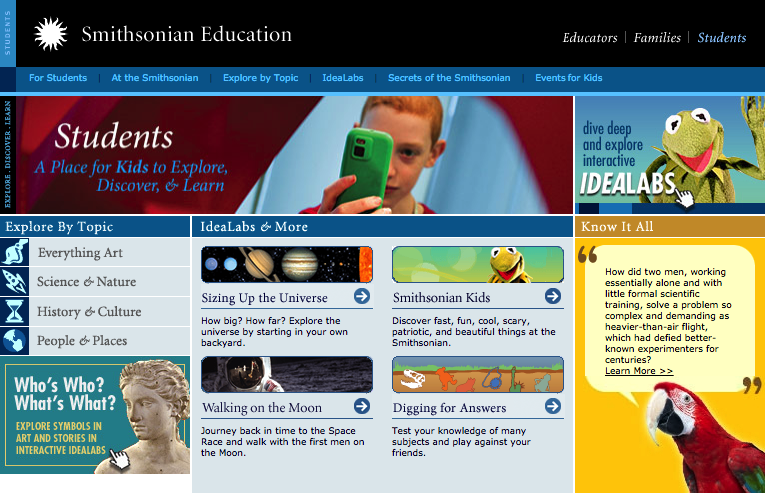 The student section in Smithsonian education features a number of useful resources covering topics such as art, science, history, culture, nature, people and places. 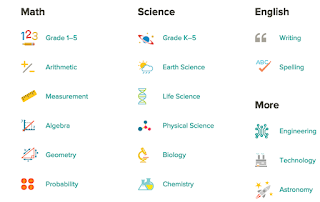 Helps students learn through video tutorials, interactive exercises, in-depth articles covering topics such math, science, economics, history, and more. Provides a huge collection of educational video content to inspire, challenge and enrich students learning experiences. A platform that enables students to explore the world through thousands of art works and artefacts provided by over 1200 international museums, galleries and institutions from all around the globe.